The 2018 Winter Olympics in Pyeongchang ended in a spectacular ceremony yesterday, but what’s even better is that it is now being heralded as the Olympics of Peace. Or the Peace Games, if you will. Why you might ask? During the games, South Korea and North Korea have been speaking, and early on in the games Vice President Mike Pence appeared not far away from Kim Jong-un’s sister, whilst towards the end of the games, the US President own daughter, Ivanka Trump, as well as Sarah Huckabee Sanders whom were all present during the last days of the Olympics. All three White House representatives were seen alongside top ranking leaders of the North Korean regime throughout the games, whilst watching the many sporting events, which has now sparked Kim Jong-un to state that he’s now willing to engage in talks with the United States of America. 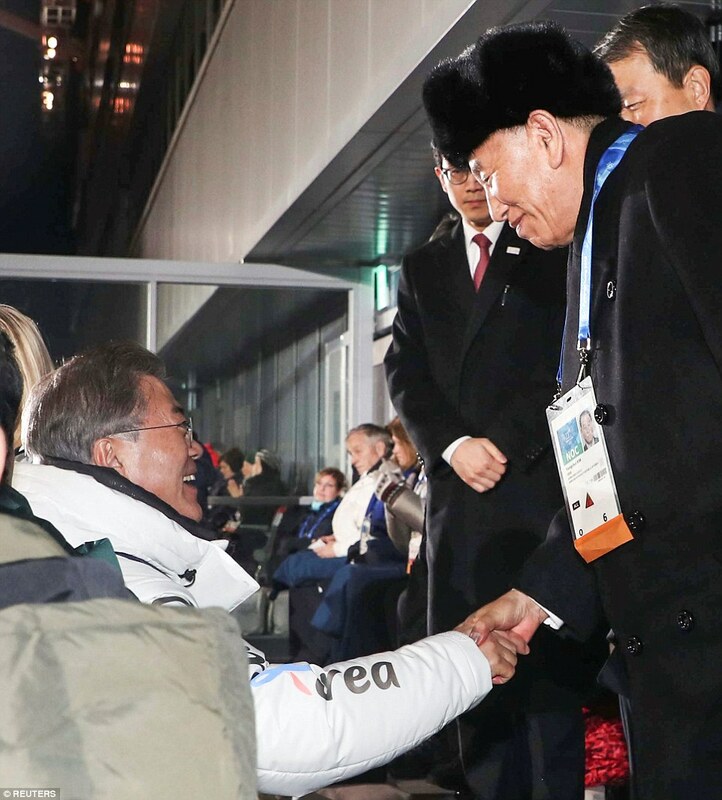 Indeed, the 2018 Winter Olympics in Pyeongchang are now being heralded as the Peace Games, albeit a bit prematurely, but there seems to be a willingness on all sides to sit down for progressive talks to end the tension in the Korean region. It seems the much hyped tension on mainstream media between Kim Jong-un and President Donald Trump is finally finding a natural resolution very soon. So, was it just a collective feel good factor over the Olympic games that brought this on? Or was it Dennis Rodman working away behind the scenes? Or could it just be that sometimes God works in mysterious ways, and world leaders can come to see common ground through sports? Well, whatever it was, as these pictures show, sports really does bring people together, and Kim Jong-un for one, is a sports fanatic. North Korea is ready for some serious talks with the USA, and that’s a long way to come after Trump and Kim Jong-un were previously exchanging words of warnings, just a few months ago, but as President Donald Trump had always said, he would much prefer to get along with Kim Jong-un. We too feel that surely everyone feels better when everybody can just get along and work towards resolutions. Yes, these latest revelations of peace talks and finding space for communication between the USA and North Korea, with the South Korean’s close at hand, serves in the interest of the whole wide world. These games and this sudden spring towards future communications has to deemed a total success from all sides. Lee Hee-beom, president of the Pyeongchang Olympic Games Organising Committee, said after the closing ceremony: “Even though we are now saying goodbye to each other, Pyeongchang 2018 will be long remembered with beautiful and unforgettable memories”. Donald Trump’s daughter went on an Olympic hand shaking spree after she was seen to really be enjoying the games. It’s no wonder why, with such a unity under sport, that it can bring people together even after North and South Korea being at odds since 1954. Ivanka Trump sat near North Korean Senior official, Kim Song Chol, and South Korean President, Moon Jae In, during the closing ceremony for the Winter Olympic games, respectively. Immediately after the closing ceremony, it was announced that Kim Jong-un was open for talks with the USA. A beautiful ending to a wonderful Winter Olympics of 2018. No doubt, these talks will now be held in extreme privacy, away from the prying eyes of the media. We have a feeling that common ground, respect and resolutions are at hand. On part of all countries, this was a great event of diplomacy, unity and progress for the world. Norway were the overall winners of the 2018 Winter Olympics in Pyeongchang in the medal count, but we really feel that North Korea, South Korea and the USA were the biggest winners of all in these Olympics. 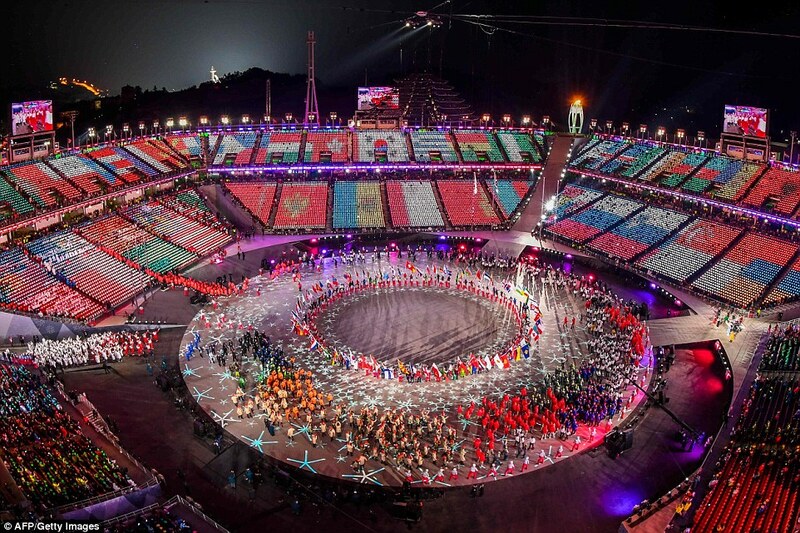 Politics, Sports, Sports & Gaming @realDonaldTrump winter olympics, 2018 Olympics medal counter, 2018 Olympics medals, 2018 Winter Olympics, 2018 Winter Olympics closing ceremony, 2018 Winter Olympics in Pyeongchang, 2018 Winter Olympics opening ceremony, 2018 Winter Olympics Peace Games, 2018 Winter Olympics Pyeongchang, america, Canada VS USA 2018 olympics highlights, Canada VS USA Olympics 2018, Closing Ceremony Ivanka Trump USA, Dear athletes from the NOCs of the Republic of Korea and the Democratic People's Republic of Korea with your joint march, Dennis Rodman, Dennis Rodman America's secret weapon in Diplomacy?, Dennis Rodman basketball, Dennis Rodman Kim Jong-Un, Dennis Rodman Kim Jong-Un friends, Dennis Rodman Kim Jong-Un relationship, Dennis Rodman North Korea, Donald Trump, Donald Trump children, Donald Trump family, Donald Trump kids, Donald Trump Kim Jong-un, Donald Trump North Korea, Even though we are now saying goodbye to each other Pyeongchang 2018 will be long remembered with beautiful and unforgettable memories, Ice Hockey 2018 Olympics, Ice Hockey Olympics, In this we are driven by our faith in the future., Ivanka Trump, Ivanka Trump at the Winter Olympics 2018, Ivanka Trump fashion statement Winter Olympics, Ivanka Trump Winter Olympics, Kim Jong Un and Donald Trump to conduct peace talks after Winter Olympics, Kim Jong-Un North Korea, Kim Jong-Un open to talks with USA, Kim Jong-un Open To USA Talks after Winter Olympics, Kim Jong-un sports, Kim Yong Chol, Korea, Lee Hee-beom, Lee Hee-beom Pyeongchang 2018 will be long remembered with beautiful and unforgettable memories, Lee Hee-beom Pyeongchang Olympic Games Organising Committee, Mike Pence, Mike Pence Winter Olympics, Moon Jae-in, North Korea, North Korea America, North Korea Dennis Rodman, North Korea latest news, North Korea leader, North Korea South Korea and the USA were the biggest winners of all in these Olympics, North Korea USA, North Korea USA conflict, North korea USA War, North Korea War, North Korea’s supreme leader, North Korean delegation leader, North Korean regime, Norway were the overall winners of the 2018 Winter Olympics in Pyeongchang in the medal count, Olympics, Olympics 2018, Olympics in PyeongChang winners USA, Over the past 17 days we have experienced Olympic Games rooted in tradition and showing the way to the future, Peace Games, Peace Games Winter Olympics, President Donald Trump, President of the International Olympic Committee, President Trump, PyeongChang, Pyeongchang Olympic Games Organising Committee, PyeongChang South Korea, Republic of Korea, Sarah Huckabee Sanders, Sarah Huckabee Sanders Winter Olympics, South Korea, South Korea leader, South Korea North Korea, South Korea Olympics, South Korea Winter Olympics, South Korean President, sport brings people together, Team USA Olympics, Team USA Olympics 2018, The 2018 Winter Olympics Ends with Kim Jong-un Open To USA Talks, the 2018 Winter Olympics in Pyeongchang are now being heralded as the Peace Games, the Democratic People's Republic of Korea, The IOC will continue this Olympic dialogue even after we extinguish the Olympic flame., the Peace Games 2018 Winter Olympics in Pyeongchang, The Peace Games Olympics Ends with Kim Jong-un Open to USA talks, The Winter Olympics Ends with Kim Jong-un Open To USA Talks, Thomas Bach, Thomas Bach Dear athletes from the NOCs of the Republic of Korea and the Democratic People's Republic of Korea you have shared your faith in a peaceful future with all of us, Thomas Bach President of the International Olympic Committee, Together we saw and witnessed so many touching human dramas and stories to leave us a valuable legacy of great Olympic spirit, Trump, United States, United States of America, USA, USA and North Korea set for talks after Winter Olympics, Vice President Mike Pence, Vice President of the United States, Watch Winter Olympics 2018 closing ceremony, Winter Olympics, Winter Olympics 2018, Winter Olympics Diplomacy Event, Winter Olympics PyeongChang, you have shared your faith in a peaceful future with all of us, You have shown how sport brings people together in our fragile world; you have shown how sport builds bridges.